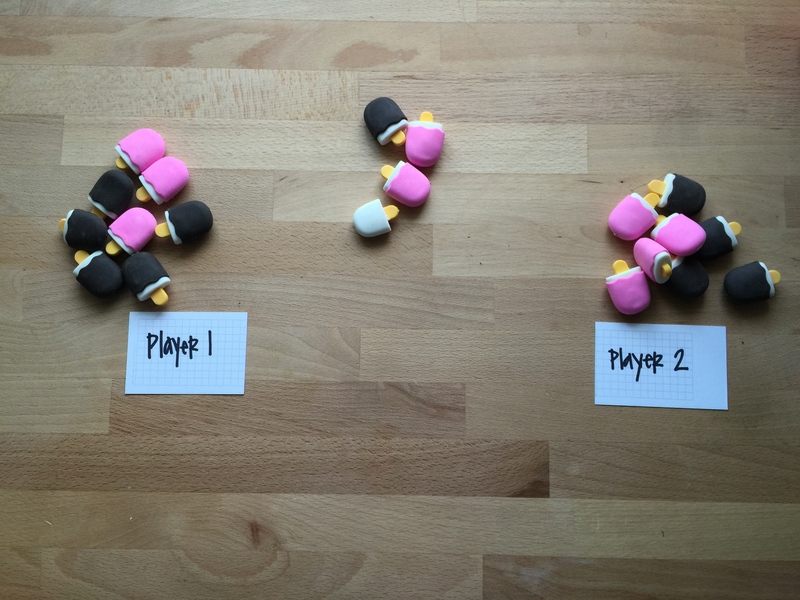 One of my most favorite activities to use with groups is Race to 20. I have no idea if that is the real name of the game, or when or where I first ran across it. However, what I do know after using it for a really long time and with lots of groups of kiddos and grownups, is that it has an appeal that is pretty much about impossible to resist. I am pretty sure, like about 100%, it belongs to the family of NIM games. The goal is to figure out the strategy so that you can win every time. No.This is a GREAT week. 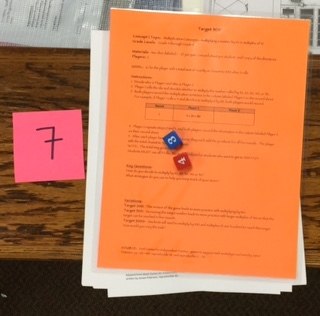 A colleague and I have the privilege of spending four days with four groups of teachers: Day 1 with TK and Kindergarten, Day 2 with grades 1 and 2, Day 3 with grades 3, 4, and 5, and Day 4 with MS math teachers (grades 6 – 8). Pretty nice. The opening task of each day is Which One Doesn’t Belong? It’s a pretty nice way to start the day. We show a photo, similar to this one we used with grades 1 and 2. Which domino doesn’t belong? Why? 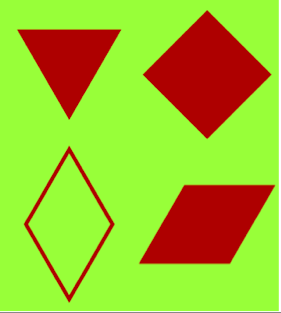 Find a second or third reason why the domino doesn’t belong? 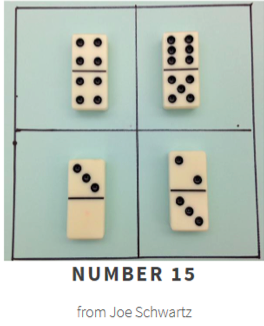 Find a reason why each of the dominoes would not belong. 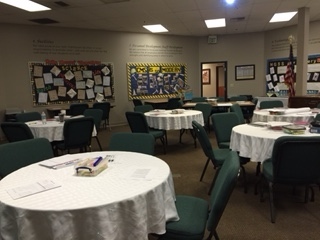 Then, everyone has the opportunity to share their ideas in small groups. After a bit, the entire group chats about the reasons why each domino does not belong. 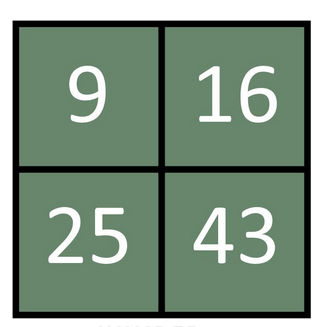 Some more good stuff happens as teachers make their own WODB that can they use next week–which for us in this part of Southern California–is the FIRST week of school. The conversations really gets going: ideas are shared, drawing, planning, arguing, advocating for ideas. Pretty nice. We do a Gallery Walk. After, the groups retrieve their posters, review the reasons that were noted on their posters, and make any revisions they want to based on the feedback shared during the gallery walk. The best part happens now. We talk about how Which One Doesn’t Belong? is good for kids. We talk about how this is a great opportunity for kids to share ideas, to listen to each other, to talk with each other, to build language skills, and develop ideas about reasoning. We talk and laugh and think. PERFECTION! Tuesday’s conversation was different. More serious. More focused on our responsibility to help our students develop good habits to use while they work on interesting and perplexing questions, scenarios, tasks, and problems. 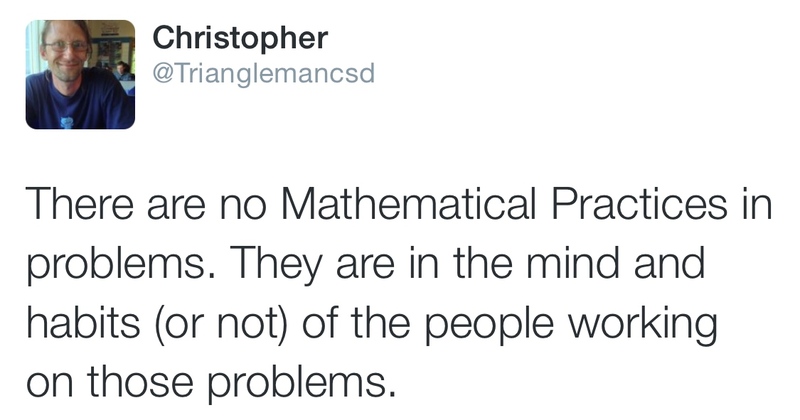 Thank you, Christopher, on behalf of our kiddos. We then moved to the next step in our planning: THE HOW? How do we accomplish this? How do we make it a transparent component of the five days? How do we start camp? The how was following by and connected to the what. What opening task would we choose and how will it support our underlying structures? The Question: What do you choose to be the opening task? The Answer: Which One Doesn’t Belong? We started with this image from Christopher Danielson’s book, Which One Doesn’t Belong? and asked everyone to take a moment to consider which shape doesn’t belong and why. We asked that they ensure that each person in their group had enough time to ponder, notice, and formulate ideas prior to engaging in a group conversation. We then showed the next image, from the website Which One Doesn’t Belong. 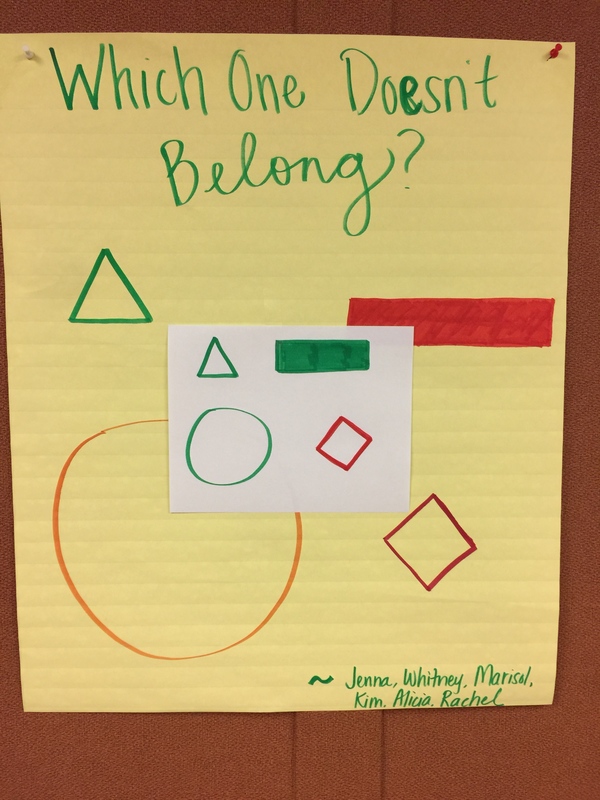 After the table conversations were concluded and a brief whole group discussion was had, chart paper and markers were distributed, and directions to create a WODB that your students could discuss in the opening week of school were posted. The groups set to work creating their posters. The energy and the conversations the groups generated were amazing. 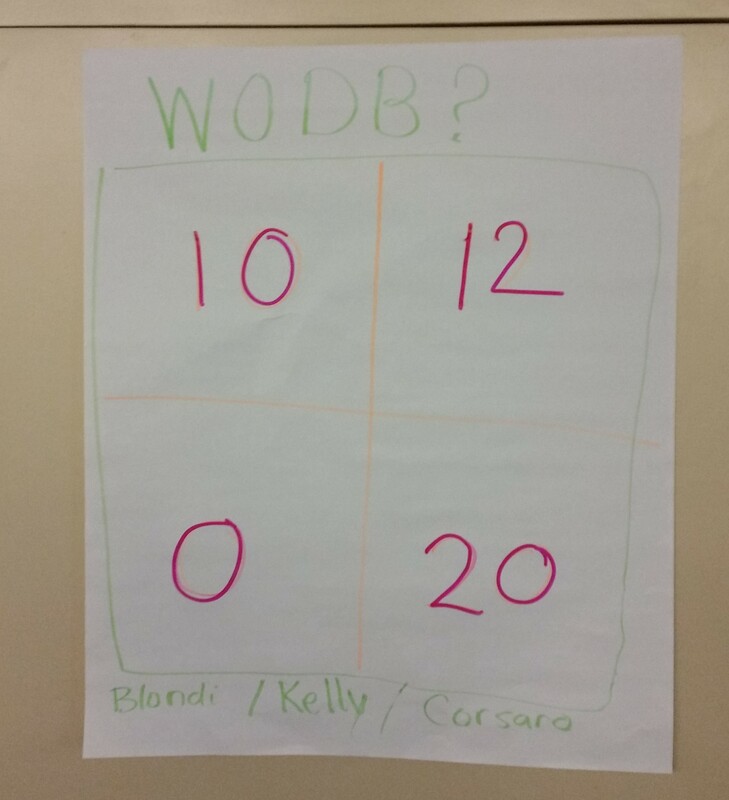 We heard consideration about number size, entry points for all kids, WODB as a formative assessment tool for the Standards for Mathematical Practice, specifically practice #3, and all kinds of important stuff. After the charts were finished, they were posted around the room. Each camper grabbed some post-it notes, selected a chart that was interesting, and off they went on a gallery walk. We used the following protocol for the gallery walk. 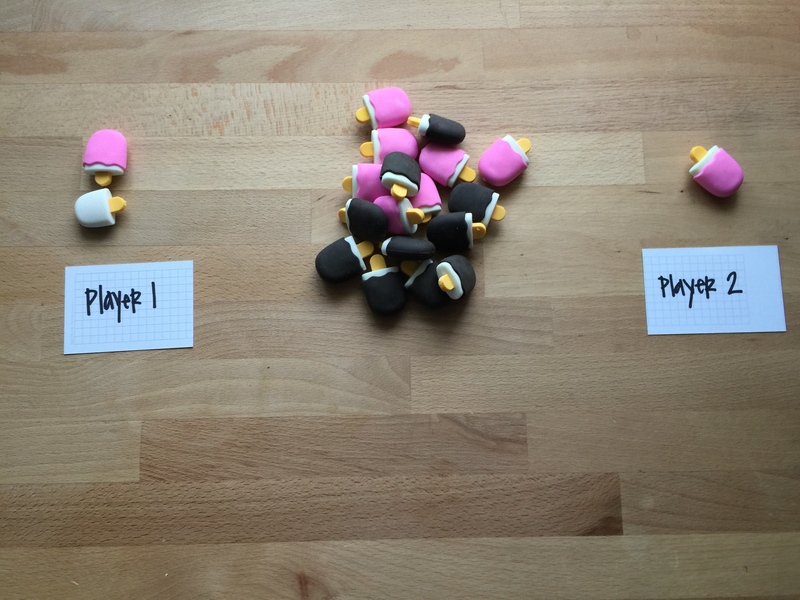 A side note: If the ideas are written on the wrong side of the post-it note, groups are not influenced by the ideas already shared. If a group wants to check out what others have written, they can always check after posting their idea. The team that developed the chart will have a larger set of original ideas, not just variations on a theme. 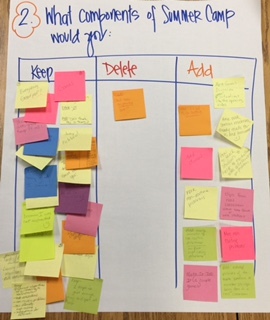 At the end of the gallery walk, the team retrieved their chart, discussed the information on the post-it notes, and made revisions, as needed. It is really hard to resist the question “which one doesn’t belong?” even at 8:15 am on a lovely summer morning. Gallery walks need to be purposefully structured. When organized as such, they become a strong instructional tool that promote mathematical conversations. When the teacher participates, students emulate the academic modeling. The closing structure of the opening task needed to be stronger, more focused on the learning and the learner. 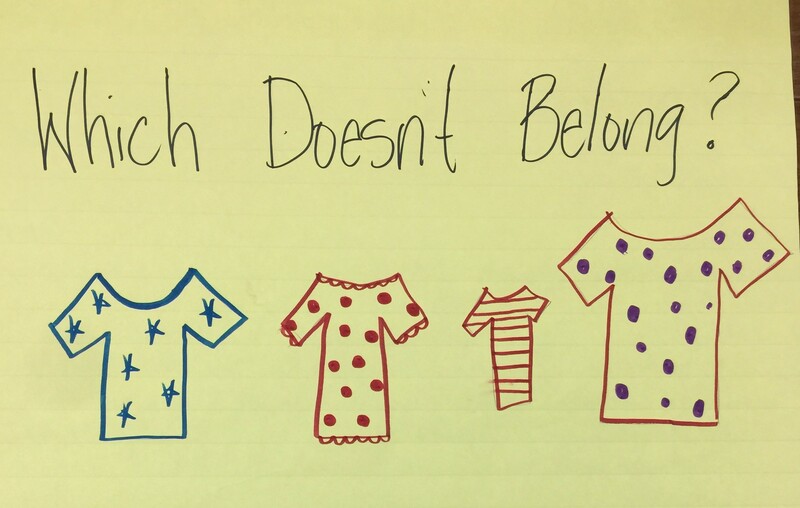 It needed something similar to the question written by Nicora Placa her blog post on Bridging the Gap. Doing mathematics: Write a about the activity from the perspective of a learner. Think about the learning processes. What helped you as a learner? What helped you sort out the mathematics? Over the course of the next two weeks, I’ll be using a similar version of the opening task with a few groups. I am interested in how the use of a different closing reflection might impact the learning and the learners. Five days. 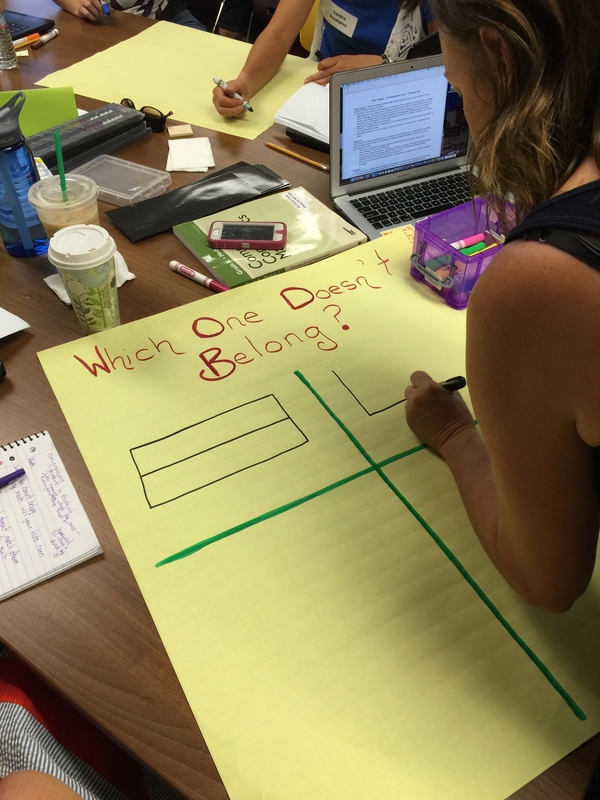 Five days to spend with about 50 educators thinking, reading, talking, exploring, investigating all things math. 2 things I noticed: People really like learning, including being challenged and pushed a bit. Enthusiasm for learning is contagious. Day 2 of Summer Math Camp was fabulous. It was fabulous because the 26 people with whom I spent the day are fabulous. They walked in the door with an I love math and teaching so much that I am spending day 3 of my summer vacation working on math tasks, reading and talking about teaching and learning, and thinking about my classroom room and what I want it to be for next year’s students. With all of that amazing energy how can you have anything except a fabulous day! We started out our day by reading an article and thinking about its content using the sentence-phrase-word protocol, courtesy of posts written by Jill Gough on her blog Experiments in Learning. Then, we worked on four tasks from the Young Mathematicians at Work series written by Cathy Fosnot. We are considering using some of the units on multiplication and division next school year and wanted teachers to have a chance to investigate the materials, The tasks are nicely constructed, very versatile, and work for a wide range of learners and in a variety of instructional settings. After we discussed the content students explore and the instructional moves we might use when working on the four tasks, we talked about how the big ideas of multiplication relate to grade level standards, and how students’ thinking, reasoning, and understanding develops across the grade levels. 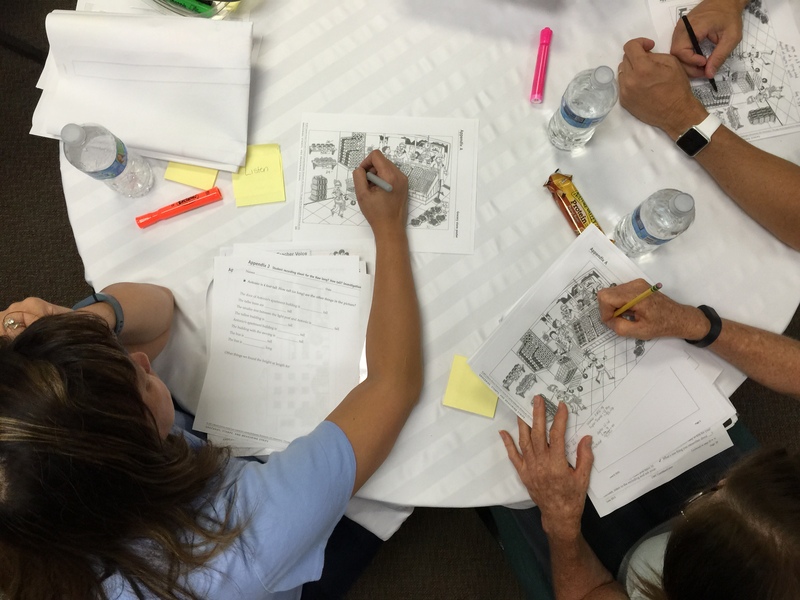 The final component of the morning session was the construction of a concept map that organized the big ideas, strategies, and models of multiplication, as well as, the teacher moves that support students building their understanding of multiplication. After lunch, we spent some time talking about division before moving into math work stations. The day ended with a bit of reflection. Quote of the day: I can do more than I think I can. Thank you one and all for sharing two days of your summer, your thoughts, ideas, questions, and your care for the children who are fortunate to spend their days with you. Today was awesome. 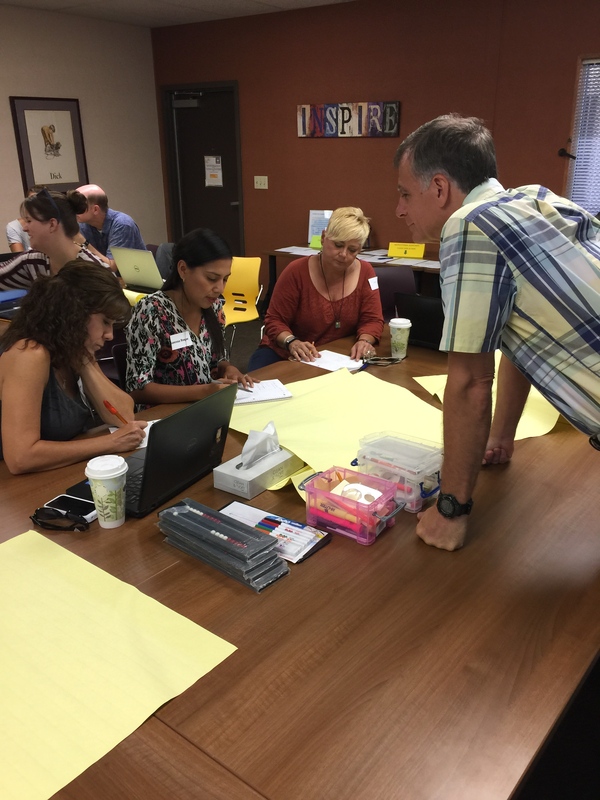 I spent the day with 25 educators investigating, exploring, discussing, and grappling with ideas that comprise a big idea in elementary mathematics instruction: multiplication. If each person gets 1/2, do they all get the same amount of gum balls? What would each person’s share of the gum balls be, written as a fraction and as a percent? How many gum balls does each person get? Is there something here with exponents: 1/2 of a 1/2 of a 1/2? How many gum balls does Jaysen get? How many gum balls does Marinda get? How many gum balls does Zack get? In addition to the notes each person made, the table groups were asked to represent their solutions using Unifix cubes. It was really interesting to hear and see the different connections that were made when ideas and solutions were described using Unifix cubes. When we went back and looked at the questions we had listed after watching the video, we could answer all of them!! The a-ha moment we had was if we had started with some or most of them, we might not have persevered. However, starting with the three question we did allowed us to take on the questions the group had generated. It was for us, a nice fit of a low floor and taller ceiling kind of task. 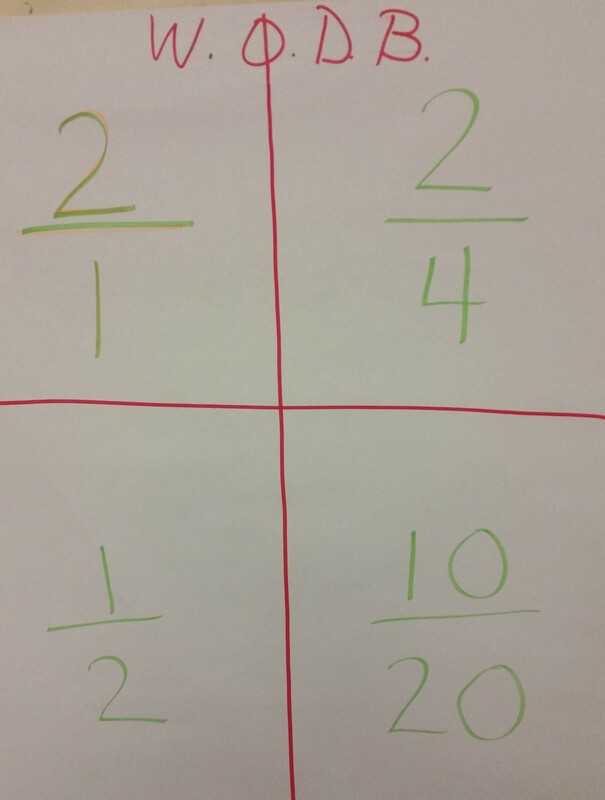 We then worked our way through a variety of multiplication algorithms, based on the work of Cathy Fosnot. The teachers explored the strategies of doubling, doubling and halving, and partial products, and how the strategies can be represented using arrays and area models. There was lots of great conversation focused around how the strategies and the models are connected. After lunch, we worked on a number string, again based on the work of Cathy Fosnot. Some offered to be in the group that participated in the number string. 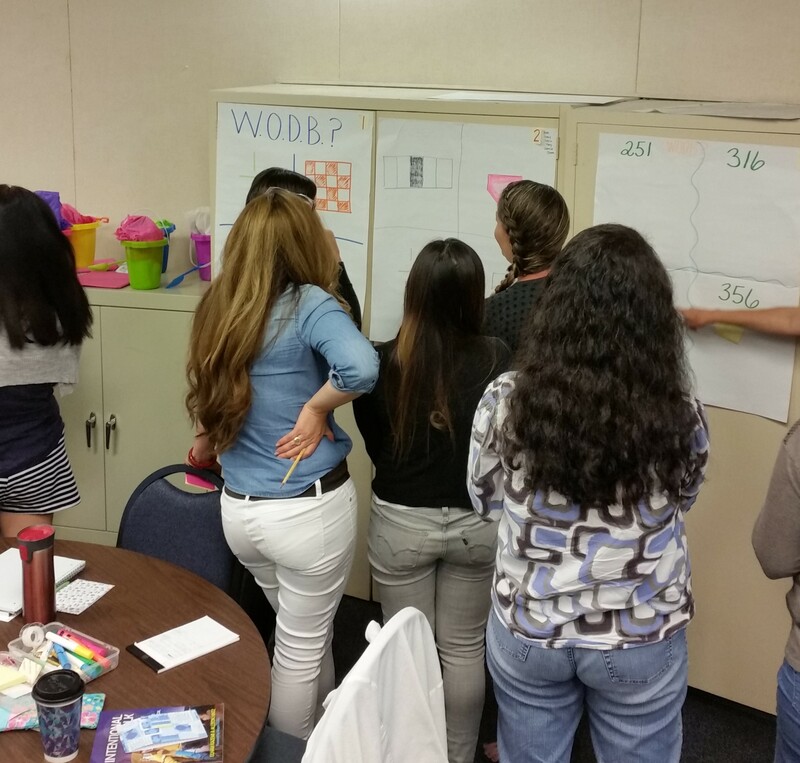 The rest of the group focused on the instructional moves used when facilitating a number string. The strategies and models we worked on in the morning were put to use in the afternoon: doubling, area and array models, and partial products all made an appearance at some point during the number string and the debrief that followed. The last part of our day was spent engaging in a different tasks, games, and activities involving multiplication. These were set up in math work stations. 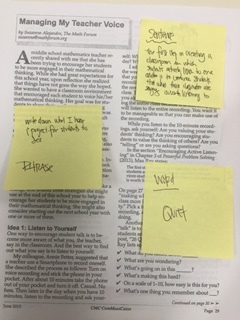 Our closing reflection was a 3-2-1: three ideas that resonated with you or you are considering in some way to include in your work with students, two a-ha moments from the day, and one question you are still pondering. The best comment of the day: What do we have for homework? How much for the race car? A few weeks ago, you figured out that 258 twelve-packs of soda were used to build the race car. The other night when we stopped at the store, we noticed that the grocery store had posted this sign in front of the display. How much would it cost to buy the twelve-packs of soda necessary to build the race car? How much would it cost to buy the twelve-packs to build the race car when they are not on sale? 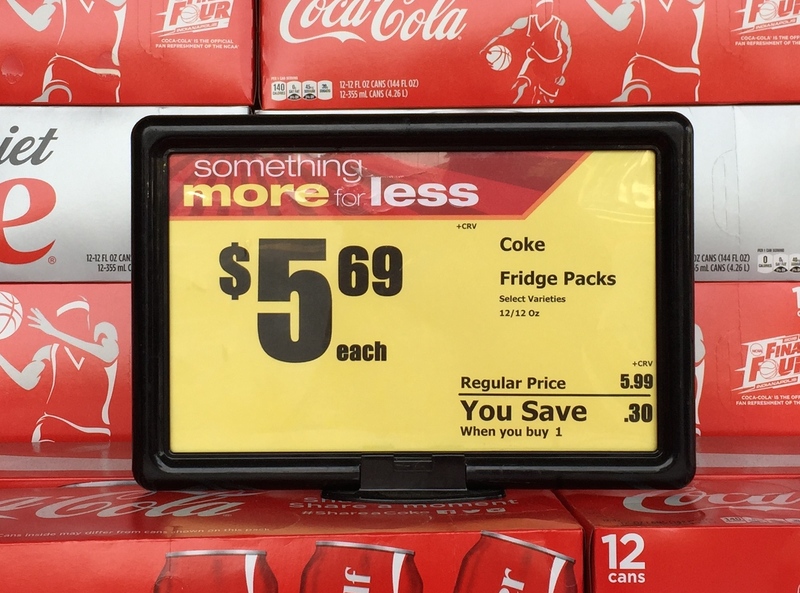 How much would money do you save when you buy the twelve-packs on sale? How much will you pay in CRV fees, at $0.05 per can? The coke soda guy has been at it again. Check out the current display. How many cans of soda does it take to create the display of the American flag? How many 12-packs did he use to make the display? How did you figure it out? We think that the flag is 12 twelve-packs across and 13 twelve-packs high. So, we figured out that he used a total of 156 twelve-packs used to make the display. We know that 12 rows of 12 twelve-packs is 144 twelve-packs, and one more row of twelve-packs means that there are 156 twelve-packs. Then, we multiplied the 156 twelve-packs by 12 since there are 12 cans per twelve-pack. (That’s a rather obvious statement, isn’t it.) Our total is 1872 cans of soda. The Coca-Cola sales representative who delivers soda to our neighborhood Albertson’s store has been very busy. This was the display that greeted us the other day when we stopped to pick up a few things for dinner. How many cans of soda were used to make the display? How did you figure out the number of soda cans that were used? The following information might be helpful, in case your students have some questions. It might be difficult to tell from the photo that the representative did not use any 12-packs of soda to build the tires. We think that there are 258 twelve-packs of soda in the display. How many snow people do you see? A few weeks ago, I stopped by a friend’s class. She was putting up some student work. Super cute art project–love the faces. Then, I noticed how she had organized the kids’ work. So, I leave you with a few questions to ponder. 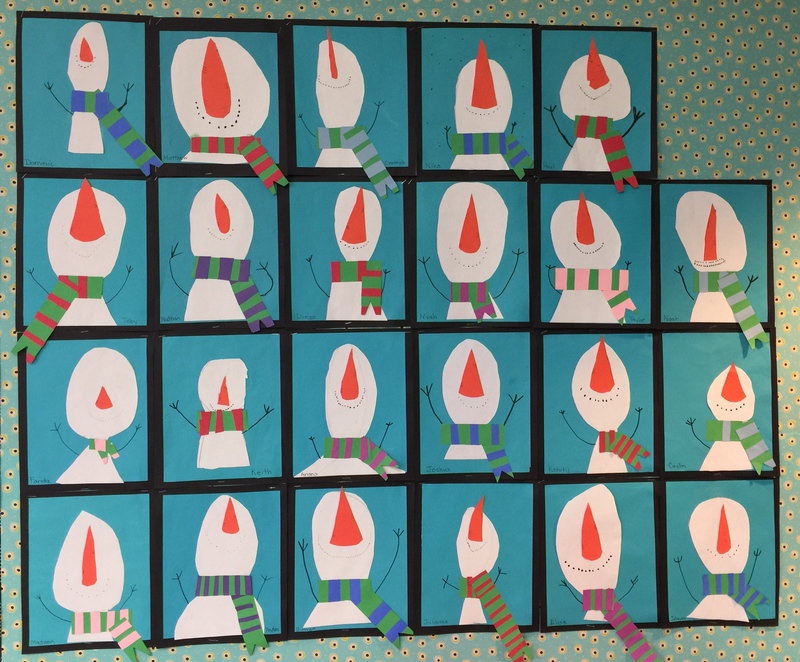 And this question: how do you think your kids will determine the number of snow people hanging up in Mrs. Marine’s classroom? And this one: what strategies did they actually use? And a few more. How accurate were your predictions? Which ideas surprised you–as in a good surprise?